BANGER FILMS has announced its original webseries SHREDDERS OF METAL will premiere on Monday, July 23rd — kicking off a special “Shredders‘ Week” on BangerTV‘s YouTube channel. SHREDDERS OF METAL is the first talent competition show dedicated to heavy metal music. 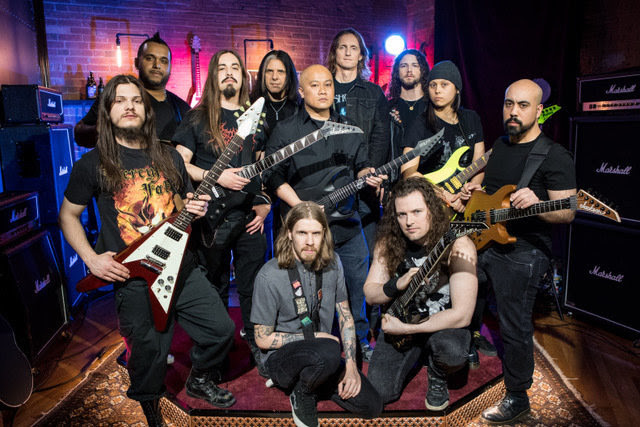 Seven guitarists will showcase their shredding skills for a panel of three judges: Alex Skolnick (Testament), Daniel Dekay (Diemonds, BangerTV) and Sam Dunn (Banger Films Co-Founder).The series host is comedian BLAYNE SMITH (Yuk Yuk‘s, BangerTV).